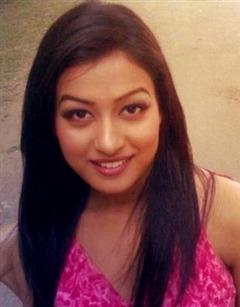 Rimpi Das is a beautiful assamese actress. Rimpi Das, make her debut in Kollywood in the film Paali. After acting in a range of roles in Assamese films, she will enter the more professional Tamil film industry which offers better career prospects. She made her debut in Assamese film Monot Birinar Jui after which she left school to pursue acting. She has acted in side role in film Adhinayak, Ami Axomiya etc. She has acted in a few Hindi films too. Her favourite actress is Rani Mukherjee and that she wished to be as versatile as her in her film. She has been acted in many assamese VCDs such as Uroniya Mon, Phaguni, Jonaki Mon, Gamosha, Achinaki Mon etc. She likes both positive and negative roles. Why Book Rimpi Das Through ArtiseBooking?